LIF 056 — Launching Your Lifestyle Business Series - Session 1: What Kind of Business Should You Start? LIF 056 — Launching Your Lifestyle Business Series – Session 1: What Kind of Business Should You Start? 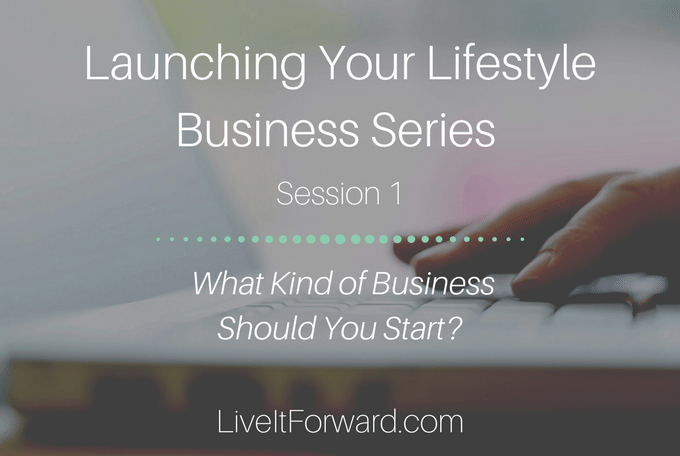 Launching Your Lifestyle Business Series – Session 1: What Kind of Business Should You Start? Do you want to create a lifestyle business, but aren’t sure where to start? The key is to first decide what kind of life you want to live, then decide how to make your business fit that lifestyle. In episode 056 of The Live It Forward Show, Kent Julian shares two lifestyle business ideas and the key elements that have helped him become successful in starting the Live It Forward brand. Do you want to get paid to speak? Come to Speak It Forward Bootcamp to learn how!